1.Eli Lilly & Company offers a program called “LillyTruAssist” to provide insulin to those in need. Visit http://lillytruassist.com/. 2.The Charles Ray III Diabetes Association provides meters, strips and pump supplies to those who cannot afford them. 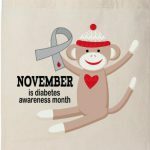 To learn more, go to http://www.cr3diabetes.org/. 3.The Foundation for Health Coverage Education helps people without insurance to locate public and private assistance programs. Their website (www.coverageforall.org) has a simple eligibility checklist. 4.Needymeds runs a web site, www.needymeds.com, that provides up-to-date information on nearly 200 patient assistance programs run by drug manufacturers. 5.Novo Nordisk offers a Patient Assistance Program that provides free insulin, pen needles, and glucagon kits for those who fail to qualify for government-sponsored programs, do not have private insurance, and fall below a certain income level. Go to http://novonordisk-us.com/documents/section_frontpage/document/pap_diabetescare.asp to apply. 6.Sanofi has an assistance program for paying for Lantus at http://www.lantus.com/hcp/paying-for-lantus/patient-assistance-programs. 7.Script Relief is a prescription drug savings program that can offer discounts of up to 75% on some prescriptions. You can visit http://scriptrelief.com/ for more information. Apply Now to Receive Your Share Exciting Government Grant Programs. 8.In Ireland eCare Dental and ERM bring you a new dental insurance scheme that could help you not only save money on your dental bills but also to be more proactive about your dental health. Find out more about diabetes and dental care by viewing the website Diabetes Ireland. The irish health care is divided into public and private services. Both services are provided by GPs and the Health Service Executive (HSE) is responsible for providing public and community health services. There are three types of hospitals: HSE hospitals, voluntary hospitals and private hospitals. If you are “ordinarily resident”, you can access a range of public health services that are free of charge or subsidised by the Irish government. Generally, if you are living here and intend to continue to stay here for at least a year, you will be considered “ordinarily resident”. Category 2 – People without Medical Cards (limited access to public health services). Anybody in Ireland with a medical emergency is entitled to attend the Emergency Department. A patient visiting the Emergency Department will either be treated and sent home or will be admitted to a ward as an in-patient. In cases of excessive hardship, a HSE Area may provide the service free of charge. If you have to return for further visits in relation to the same illness or accident, you do not have to pay the charge again. In Ireland anyone over the age of 16 years who is ordinarily resident in the State is entitled to apply for a Medical Card. 3.Automatic: People who are automatically entitled to a Medical Card. You must contact your nearest Health Centre for an application form or www.medicalcard.ie. If you are under 70 years of age ask for Form MC1 and if you are over 70 years of age ask for Form MC1a. Medical card assessments based on a means test make allowances for rent or mortgage payments, childcare expenses and travel to work expenses. Income is assessed after tax and PRSI are deducted. In Ireland this card entitles holders to free GP services; however, they will have to pay for hospital services and a limited amount for prescription drugs. To apply for a GP Visit Card, you use the same application form for a medical card. While your GP Visit Card application is being processed, the HSE will also assess your entitlement for a full medical card. In Ireland The Drug Payment Scheme allows individuals and families who do not hold medical cards to limit the amount they have to spend on prescribed drugs. Under the Drug Payment Scheme, you will not pay more than €100 in any calendar month for approved prescribed drugs, medicines and appliances. If you are ordinarily resident in Ireland, you are eligible to apply for the Drugs Payment Scheme. You can use the Drug Payment Scheme in conjunction with a Long Term Illness Book. Application forms are available from your local pharmacy or contact your local health centre for more information. If approved, you will be issued with a long-term illness book. Your pharmacist will provide you with the necessary drugs free of charge. In Ireland the Health Service Executive provides free maternity services for the period of pregnancy and for 6 weeks after the birth. The service is provided by your GP. You must be ordinarily resident in Ireland to avail of this service. You can avail of private health care if you can pay for it directly or you are covered by a private health insurance policy. Some employers offer health insurance as part of an employment package. It is usual practice that no immediate private health insurance coverage is available for medical conditions existing before taking out a private health insurance policy. The restriction shall be removed upon the following periods of continuous membership: 5 years for members under 55; 7 years for members aged 55-59; 10 years for members aged 60 and over. You can contact one of the private health insurers in Ireland.